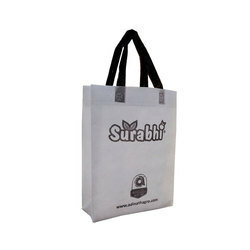 Our offered a wide range of Non Woven Bag. 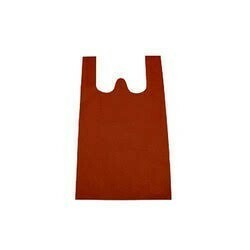 This is a type of bag is been manufactured by our company. In this type we are incorporating Various colors.But mostly we are using white background in which your logo or design is printed. They are durable and smooth in nature. 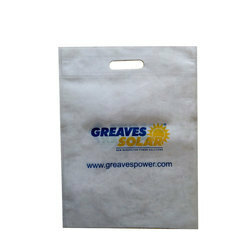 Commercial Non Woven Bags are easily available and washable. Packaging Details: Comes with 100% safety Packaging. 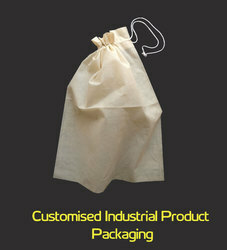 Backed by our efficient workforce, we are capable of providing clients with D Punch Non Woven Bags. All our bags are available in a variety of gsm as 60, 70, colors, designs, sizes and shapes to meet the requirements of our clients. Available sizes: 8*10, 10*14, 12*14, 12*16, 14*19, 16*20. Packaging Details: It comes with full proof packing which ensures 100% safety of inside materials. Ekorrap is a well-known brand in Non-Woven Bag Industry. 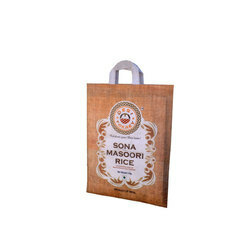 These bags are made up of world-class quality non woven fabric. More than 50 Tonnes Ecorrap Bags consume by people across the Maharashtra and nearby areas. 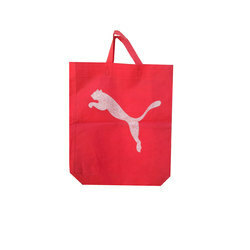 We manufacture customized Industrial Products Non-Woven Bags. As the Non-Woven fabric is alternative to banned plastic, It is more convenient to replace Non-Woven Fabric as an Industrial Product Packaging Material. We have worked for more than 15 large and medium scale industries and made hundreds of customization by using non woven fabric. 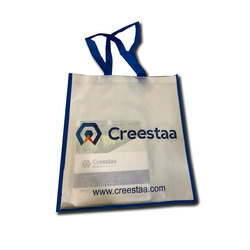 Advertising bags are used in Trade Fairs, Conferences, Corporate Events etc. 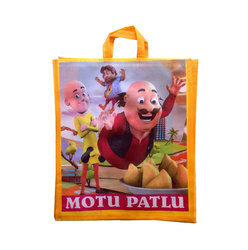 We do manufacture grocery shopping bags for many E-commerce giants mostly Grocery E-commerce companies and Retail Chains. These bags are used for Invitation purposes. 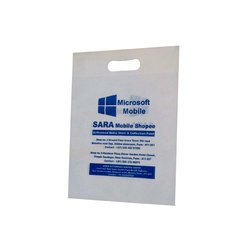 On offer from us is an impeccable assortment of Printed Promotional Non Woven Bag. The products we offer are made using reusable and eco-friendly non woven fabric as per prevailing market trends. All our bags are widely praised by the customers due to having features like excellent tear resistance strength, splendid finishing and ability to load heavy weight. Moreover, we offer these bags to the customers in a plethora of colours, designs, patterns, prints and sizes as per their demands. Packaging Details: It comes with durable and full proof material packing which ensures 100% safety of material inside. This is finest sorts of items we are assembling. The unique of this item is the balanced printing outside of the pack. 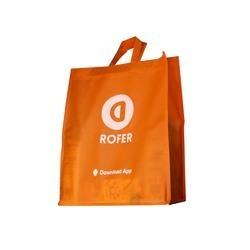 The printings of Offset Printing Non Woven Bag are launder able and appealing. These sorts of packs are marginally costly however by buy you will be the champ. The items we offer are made utilizing reusable and eco accommodating non woven fabric according to winning business sector patterns. Every one of our sacks are generally applauded by the clients due to having highlights like astounding tear resistance quality, amazing completing and capacity to load overwhelming weight. In addition, we offer these sacks to the clients in a plenty of hues, outlines, examples, prints and sizes according to their requests. 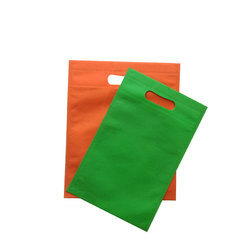 These bags are widely used for exhibitions. We have served more than 100 medium and large scale industries in India. 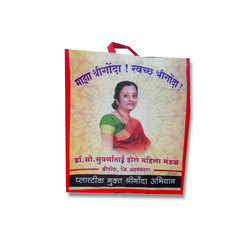 These bags are widely used in trade exhibition nowdays as they are durable and alternative to banned plastic bags. This is finest types of products we are manufacturing. 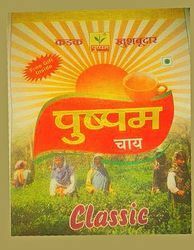 The printings with Non Woven Tea Bags are washable and attractive. These kinds of bags are slightly expensive but by purchase you will be the winner. splendid finishing and ability to load heavy weight. Moreover, we offer these bags to the customers in a plethora of colors, designs, patterns, prints and sizes as per their demands. This is D cut or stiched bag. Available in any sizes. 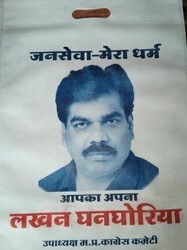 Used to distribute @ election time. Useful for carrying any material. We will print your matter on this, so it is helpful in promotional activity . 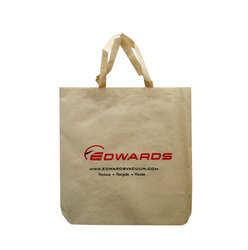 Offered bags are eco friendly and 100% recyclable to benefit our earth. Light weighted and portable to carry. 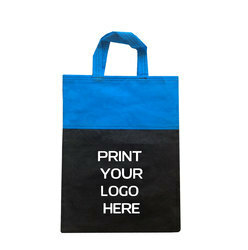 Uses: Used as a gift bag, promotional bag and shopping bag. It is used in super markets, retail shops, trade shows and conference events. 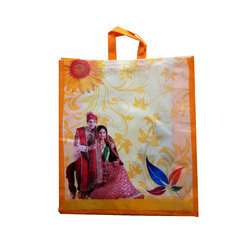 Printed D cut Non Woven Bags color print are washable and attractive. 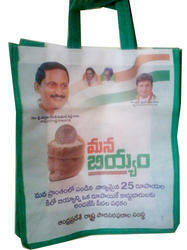 These kinds of bags are eco friendly & chip. The products we offer are made using reusable and eco friendly non woven fabric as per prevailing market trends. All our bags are widely praised by the customers due to having features like excellent tear resistance strength, splendid finishing and ability to load heavy weight. Moreover, we offer these bags to the customers in a plethora of colours, designs, patterns, prints and sizes as per their demands. These bags are designed for Wedding Gifts Packaging. Size 8"*10" 10"*14" 10"*12" 12"*14"